fitrkernel trains or cross-validates a Gaussian kernel regression model for nonlinear regression. fitrkernel is more practical to use for big data applications that have large training sets, but can also be applied to smaller data sets that fit in memory. fitrkernel maps data in a low-dimensional space into a high-dimensional space, then fits a linear model in the high-dimensional space by minimizing the regularized objective function. Obtaining the linear model in the high-dimensional space is equivalent to applying the Gaussian kernel to the model in the low-dimensional space. Available linear regression models include regularized support vector machine (SVM) and least-squares regression models. To train a nonlinear SVM regression model on in-memory data, see fitrsvm. Mdl = fitrkernel(X,Y) returns a compact Gaussian kernel regression model trained using the predictor data in X and the corresponding responses in Y.
Mdl = fitrkernel(X,Y,Name,Value) returns a kernel regression model with additional options specified by one or more name-value pair arguments. For example, you can implement least-squares regression, specify the number of dimension of the expanded space, or specify cross-validation options. [Mdl,FitInfo] = fitrkernel(___) also returns the fit information in the structure array FitInfo using any of the input arguments in the previous syntaxes. You cannot request FitInfo for cross-validated models. [Mdl,FitInfo,HyperparameterOptimizationResults] = fitrkernel(___) also returns the hyperparameter optimization results when you optimize hyperparameters by using the 'OptimizeHyperparameters' name-value pair argument. Train a kernel regression model for a tall array by using SVM. Create a datastore that references the folder location with the data. The data can be contained in a single file, a collection of files, or an entire folder. Treat 'NA' values as missing data so that datastore replaces them with NaN values. Select a subset of the variables to use. Create a tall table on top of the datastore. Specify DepTime and ArrTime as the predictor variables (X) and ActualElapsedTime as the response variable (Y). Select the observations for which ArrTime is later than DepTime. Train a default Gaussian kernel regression model with the standardized predictors. Extract a fit summary to determine how well the optimization algorithm fits the model to the data. Mdl is a RegressionKernel model. To inspect the regression error, you can pass Mdl and the training data or new data to the loss function. Or, you can pass Mdl and new predictor data to the predict function to predict responses for new observations. You can also pass Mdl and the training data to the resume function to continue training. FitInfo is a structure array containing optimization information. Use FitInfo to determine whether optimization termination measurements are satisfactory. For improved accuracy, you can increase the maximum number of optimization iterations ('IterationLimit') and decrease the tolerance values ('BetaTolerance' and 'GradientTolerance') by using the name-value pair arguments of fitrkernel. Doing so can improve measures like ObjectiveValue and RelativeChangeInBeta in FitInfo. You can also optimize model parameters by using the 'OptimizeHyperparameters' name-value pair argument. Specify the predictor variables (X) and the response variable (Y). Delete rows of X and Y where either array has NaN values. Removing rows with NaN values before passing data to fitrkernel can speed up training and reduce memory usage. Cross-validate a kernel regression model using 5-fold cross-validation. Mdl is a RegressionPartitionedKernel model. Because fitrkernel implements five-fold cross-validation, Mdl contains five RegressionKernel models that the software trains on training-fold (in-fold) observations. Examine the cross-validation loss (mean squared error) for each fold. Optimize hyperparameters automatically using the 'OptimizeHyperparameters' name-value pair argument. 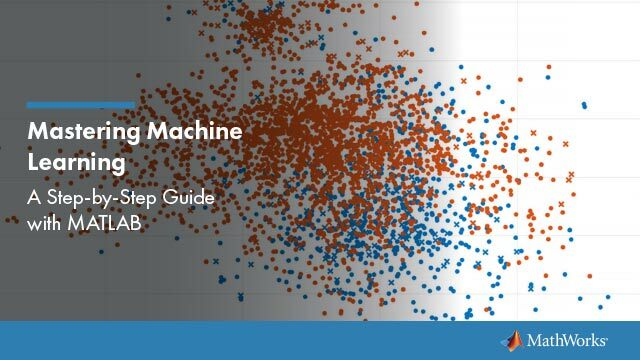 Find hyperparameters that minimize five-fold cross-validation loss by using automatic hyperparameter optimization. Specify 'OptimizeHyperparameters' as 'auto' so that fitrkernel finds the optimal values of the 'KernelScale', 'Lambda', and 'Epsilon' name-value pair arguments. For reproducibility, set the random seed and use the 'expected-improvement-plus' acquisition function. Total elapsed time: 83.945 seconds. For big data, the optimization procedure can take a long time. If the data set is too large to run the optimization procedure, you can try to optimize the parameters using only partial data. Use the datasample function and specify 'Replace','false' to sample data without replacement. Predictor data to which the regression model is fit, specified as an n-by-p numeric matrix, where n is the number of observations and p is the number of predictor variables. The length of Y and the number of observations in X must be equal. Response data, specified as an n-dimensional numeric vector. The length of Y and the number of observations in X must be equal. Example: Mdl = fitrkernel(X,Y,'Learner','leastsquares','NumExpansionDimensions',2^15,'KernelScale','auto') implements least-squares regression after mapping the predictor data to the 2^15 dimensional space using feature expansion with a kernel scale parameter selected by a heuristic procedure. You cannot use any cross-validation name-value pair argument along with the 'OptimizeHyperparameters' name-value pair argument. You can modify the cross-validation for 'OptimizeHyperparameters' only by using the 'HyperparameterOptimizationOptions' name-value pair argument. Box constraint, specified as the comma-separated pair consisting of 'BoxConstraint' and a positive scalar. This argument is valid only when 'Learner' is 'svm'(default) and you do not specify a value for the regularization term strength 'Lambda'. You can specify either 'BoxConstraint' or 'Lambda' because the box constraint (C) and the regularization term strength (λ) are related by C = 1/(λn), where n is the number of observations (rows in X). Half the width of the epsilon-insensitive band, specified as the comma-separated pair consisting of 'Epsilon' and 'auto' or a nonnegative scalar value. For 'auto', the fitrkernel function determines the value of Epsilon as iqr(Y)/13.49, which is an estimate of a tenth of the standard deviation using the interquartile range of the response variable Y. If iqr(Y) is equal to zero, then fitrkernel sets the value of Epsilon to 0.1. 'Epsilon' is valid only when Learner is svm. Number of dimensions of the expanded space, specified as the comma-separated pair consisting of 'NumExpansionDimensions' and 'auto' or a positive integer. For 'auto', the fitrkernel function selects the number of dimensions using 2.^ceil(min(log2(p)+5,15)), where p is the number of predictors. Kernel scale parameter, specified as the comma-separated pair consisting of 'KernelScale' and 'auto' or a positive scalar. MATLAB® obtains the random basis for random feature expansion by using the kernel scale parameter. For details, see Random Feature Expansion. If you specify 'auto', then MATLAB selects an appropriate kernel scale parameter using a heuristic procedure. This heuristic procedure uses subsampling, so estimates can vary from one call to another. Therefore, to reproduce results, set a random number seed by using rng before training. Regularization term strength, specified as the comma-separated pair consisting of 'Lambda' and 'auto' or a nonnegative scalar. For 'auto', the value of 'Lambda' is 1/n, where n is the number of observations (rows in X). You can specify either 'BoxConstraint' or 'Lambda' because the box constraint (C) and the regularization term strength (λ) are related by C = 1/(λn). Linear regression model type, specified as the comma-separated pair consisting of 'Learner' and 'svm' or 'leastsquares'. In the following table, f(x)=T(x)β+b. x is an observation (row vector) from p predictor variables. T(·) is a transformation of an observation (row vector) for feature expansion. T(x) maps x in ℝp to a high-dimensional space (ℝm). β is a vector of m coefficients. b is the scalar bias. Verbosity level, specified as the comma-separated pair consisting of 'Verbose' and either 0 or 1. Verbose controls the amount of diagnostic information fitrkernel displays at the command line. 0 fitrkernel does not display diagnostic information. 1 fitrkernel displays and stores the value of the objective function, gradient magnitude, and other diagnostic information. FitInfo.History contains the diagnostic information. Maximum amount of allocated memory (in megabytes), specified as the comma-separated pair consisting of 'BlockSize' and a positive scalar. If fitrkernel requires more memory than the value of BlockSize to hold the transformed predictor data, then MATLAB uses a block-wise strategy. For details about the block-wise strategy, see Algorithms. Random number stream for reproducibility of data transformation, specified as the comma-separated pair consisting of 'RandomStream' and a random stream object. For details, see Random Feature Expansion. Use 'RandomStream' to reproduce the random basis functions that fitrkernel uses to transform the data in X to a high-dimensional space. For details, see Managing the Global Stream (MATLAB) and Creating and Controlling a Random Number Stream (MATLAB). Response transformation, specified as the comma-separated pair consisting of 'ResponseTransform' and either 'none' or a function handle. The default is 'none', which means @(y)y, or no transformation. For a MATLAB function or a function you define, use its function handle. The function handle must accept a vector (the original response values) and return a vector of the same size (the transformed response values). Example: Suppose you create a function handle that applies an exponential transformation to an input vector by using myfunction = @(y)exp(y). Then, you can specify the response transformation as 'ResponseTransform',myfunction. Observation weights, specified as the comma-separated pair consisting of 'Weights' and a numeric vector of positive values. fitrkernel weighs the observations in X with the corresponding values in Weights. The size of Weights must equal n, the number of observations (rows in X). fitrkernel normalizes Weights to sum to 1. Cross-validation flag, specified as the comma-separated pair consisting of 'Crossval' and 'on' or 'off'. If you specify 'on', then the software implements 10-fold cross-validation. You can override this cross-validation setting using the CVPartition, Holdout, KFold, or Leaveout name-value pair argument. You can use only one cross-validation name-value pair argument at a time to create a cross-validated model. Cross-validation partition, specified as the comma-separated pair consisting of 'CVPartition' and a cvpartition partition object created by cvpartition. The partition object specifies the type of cross-validation and the indexing for the training and validation sets. To create a cross-validated model, you can use one of these four name-value pair arguments only: CVPartition, Holdout, KFold, or Leaveout. Randomly select and reserve p*100% of the data as validation data, and train the model using the rest of the data. Store the compact, trained model in the Trained property of the cross-validated model. Randomly partition the data into k sets. For each set, reserve the set as validation data, and train the model using the other k – 1 sets. Store the k compact, trained models in the cells of a k-by-1 cell vector in the Trained property of the cross-validated model. Reserve the observation as validation data, and train the model using the other n – 1 observations. Store the n compact, trained models in the cells of an n-by-1 cell vector in the Trained property of the cross-validated model. Relative tolerance on the linear coefficients and the bias term (intercept), specified as the comma-separated pair consisting of 'BetaTolerance' and a nonnegative scalar. Let Bt=[βt′ bt], that is, the vector of the coefficients and the bias term at optimization iteration t. If ‖Bt−Bt−1Bt‖2<BetaTolerance, then optimization terminates. If you also specify GradientTolerance, then optimization terminates when the software satisfies either stopping criterion. Absolute gradient tolerance, specified as the comma-separated pair consisting of 'GradientTolerance' and a nonnegative scalar. Let ∇ℒt be the gradient vector of the objective function with respect to the coefficients and bias term at optimization iteration t. If ‖∇ℒt‖∞=max|∇ℒt|<GradientTolerance, then optimization terminates. If you also specify BetaTolerance, then optimization terminates when the software satisfies either stopping criterion. Size of the history buffer for Hessian approximation, specified as the comma-separated pair consisting of 'HessianHistorySize' and a positive integer. At each iteration, fitrkernel composes the Hessian by using statistics from the latest HessianHistorySize iterations. Maximum number of optimization iterations, specified as the comma-separated pair consisting of 'IterationLimit' and a positive integer. The default value is 1000 if the transformed data fits in memory, as specified by BlockSize. Otherwise, the default value is 100. 'none' — Do not optimize. 'all' — Optimize all eligible parameters. Cell array of eligible parameter names. Vector of optimizableVariable objects, typically the output of hyperparameters. The optimization attempts to minimize the cross-validation loss (error) for fitrkernel by varying the parameters. To control the cross-validation type and other aspects of the optimization, use the HyperparameterOptimizationOptions name-value pair argument. 'OptimizeHyperparameters' values override any values you set using other name-value pair arguments. For example, setting 'OptimizeHyperparameters' to 'auto' causes the 'auto' values to apply. Epsilon — fitrkernel searches among positive values, by default log-scaled in the range [1e-3,1e2]*iqr(Y)/1.349. KernelScale — fitrkernel searches among positive values, by default log-scaled in the range [1e-3,1e3]. Lambda — fitrkernel searches among positive values, by default log-scaled in the range [1e-3,1e3]/n, where n is the number of observations. Learner — fitrkernel searches among 'svm' and 'leastsquares'. NumExpansionDimensions — fitrkernel searches among positive integers, by default log-scaled in the range [100,10000]. Pass params as the value of 'OptimizeHyperparameters'. By default, iterative display appears at the command line, and plots appear according to the number of hyperparameters in the optimization. For the optimization and plots, the objective function is log(1 + cross-validation loss) for regression and the misclassification rate for classification. To control the iterative display, set the Verbose field of the 'HyperparameterOptimizationOptions' name-value pair argument. To control the plots, set the ShowPlots field of the 'HyperparameterOptimizationOptions' name-value pair argument. For an example, see Optimize Kernel Regression. Options for optimization, specified as the comma-separated pair consisting of 'HyperparameterOptimizationOptions' and a structure. This argument modifies the effect of the OptimizeHyperparameters name-value pair argument. All fields in the structure are optional. Trained kernel regression model, returned as a RegressionKernel model object or RegressionPartitionedKernel cross-validated model object. If you set any of the name-value pair arguments CrossVal, CVPartition, Holdout, KFold, or Leaveout, then Mdl is a RegressionPartitionedKernel cross-validated model. Otherwise, Mdl is a RegressionKernel model. To reference properties of Mdl, use dot notation. For example, enter Mdl.NumExpansionDimensions in the Command Window to display the number of dimensions of the expanded space. Unlike other regression models, and for economical memory usage, a RegressionKernel model object does not store the training data or training process details (for example, convergence history). Optimization details, returned as a structure array including fields described in this table. The fields contain final values or name-value pair argument specifications. Objective function minimization technique: 'LBFGS-fast', 'LBFGS-blockwise', or 'LBFGS-tall'. For details, see Algorithms. LossFunction Loss function. Either mean squared error (MSE) or epsilon-insensitive, depending on the type of linear regression model. See Learner. Lambda Regularization term strength. See Lambda. BetaTolerance Relative tolerance on the linear coefficients and the bias term. See BetaTolerance. GradientTolerance Absolute gradient tolerance. See GradientTolerance. 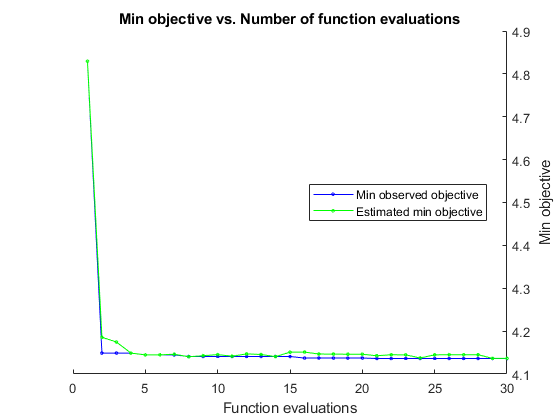 ObjectiveValue Value of the objective function when optimization terminates. The regression loss plus the regularization term compose the objective function. GradientMagnitude Infinite norm of the gradient vector of the objective function when optimization terminates. See GradientTolerance. RelativeChangeInBeta Relative changes in the linear coefficients and the bias term when optimization terminates. See BetaTolerance. FitTime Elapsed, wall-clock time (in seconds) required to fit the model to the data. History History of optimization information. This field also includes the optimization information from training Mdl. This field is empty () if you specify 'Verbose',0. For details, see Verbose and Algorithms. To access fields, use dot notation. For example, to access the vector of objective function values for each iteration, enter FitInfo.ObjectiveValue in the Command Window. Examine the information provided by FitInfo to assess whether convergence is satisfactory. fitrkernel does not accept initial conditions for the linear coefficients beta (β) and bias term (b) used to determine the decision function, f(x)=T(x)β+b. fitrkernel does not support standardization and cross-validation options. fitrkernel does not accept table inputs. Random feature expansion, such as Random Kitchen Sinks and Fastfood, is a scheme to approximate Gaussian kernels of the kernel regression algorithm for big data in a computationally efficient way. Random feature expansion is more practical for big data applications that have large training sets but can also be applied to smaller data sets that fit in memory. The kernel regression algorithm searches for an optimal function that deviates from each response data point (yi) by values no greater than the epsilon margin (ε) after mapping the predictor data into a high-dimensional space. Some regression problems cannot be described adequately using a linear model. In such cases, obtain a nonlinear regression model by replacing the dot product x1x2′ with a nonlinear kernel function G(x1,x2)=〈φ(x1),φ(x2)〉, where xi is the ith observation (row vector) and φ(xi) is a transformation that maps xi to a high-dimensional space (called the “kernel trick”). However, evaluating G(x1,x2) , the Gram matrix, for each pair of observations is computationally expensive for a large data set (large n). where Z∈ℝm×p is a sample drawn from N(0,σ−2) and σ2 is a kernel scale. This scheme requires O(mp) computation and storage. The Fastfood scheme introduces another random basis V instead of Z using Hadamard matrices combined with Gaussian scaling matrices. This random basis reduces computation cost to O(mlogp) and reduces storage to O(m). You can specify values for m and σ2, using the NumExpansionDimensions and KernelScale name-value pair arguments of fitrkernel, respectively. The fitrkernel function uses the Fastfood scheme for random feature expansion and uses linear regression to train a Gaussian kernel regression model. Unlike solvers in the fitrsvm function, which require computation of the n-by-n Gram matrix, the solver in fitrkernel only needs to form a matrix of size n-by-m, with m typically much less than n for big data. A box constraint is a parameter that controls the maximum penalty imposed on observations that lie outside the epsilon margin (ε), and helps to prevent overfitting (regularization). Increasing the box constraint can lead to longer training times. The box constraint (C) and the regularization term strength (λ) are related by C = 1/(λn), where n is the number of observations. fitrkernel minimizes the regularized objective function using a Limited-memory Broyden-Fletcher-Goldfarb-Shanno (LBFGS) solver with ridge (L2) regularization. To find the type of LBFGS solver used for training, type FitInfo.Solver in the Command Window. 'LBFGS-blockwise' — LBFGS solver with a block-wise strategy. If fitrkernel requires more memory than the value of BlockSize to hold the transformed predictor data, then it uses a block-wise strategy. 'LBFGS-tall' — LBFGS solver with a block-wise strategy for tall arrays. When fitrkernel uses a block-wise strategy, fitrkernel implements LBFGS by distributing the calculation of the loss and gradient among different parts of the data at each iteration. Also, fitrkernel refines the initial estimates of the linear coefficients and the bias term by fitting the model locally to parts of the data and combining the coefficients by averaging. If you specify 'Verbose',1, then fitrkernel displays diagnostic information for each data pass and stores the information in the History field of FitInfo. When fitrkernel does not use a block-wise strategy, the initial estimates are zeros. If you specify 'Verbose',1, then fitrkernel displays diagnostic information for each iteration and stores the information in the History field of FitInfo. Rahimi, A., and B. Recht. “Random Features for Large-Scale Kernel Machines.” Advances in Neural Information Processing Systems. Vol. 20, 2008, pp. 1177–1184. Le, Q., T. Sarlós, and A. Smola. “Fastfood — Approximating Kernel Expansions in Loglinear Time.” Proceedings of the 30th International Conference on Machine Learning. Vol. 28, No. 3, 2013, pp. 244–252. Huang, P. S., H. Avron, T. N. Sainath, V. Sindhwani, and B. Ramabhadran. “Kernel methods match Deep Neural Networks on TIMIT.” 2014 IEEE International Conference on Acoustics, Speech and Signal Processing. 2014, pp. 205–209. 'Verbose' — Default value is 1. 'Weights' — Value must be a tall array. 'BetaTolerance' — Default value is relaxed to 1e–3. 'GradientTolerance' — Default value is relaxed to 1e–5. 'IterationLimit' — Default value is relaxed to 20. 'HyperparameterOptimizationOptions' — For cross-validation, tall optimization supports only 'Holdout' validation. For example, you can specify fitrkernel(X,Y,'OptimizeHyperparameters','auto','HyperparameterOptimizationOptions',struct('Holdout',0.2)). If 'KernelScale' is 'auto', then fitrkernel uses the random stream controlled by tallrng for subsampling. For reproducibility, you must set a random number seed for both the global stream and the random stream controlled by tallrng. If 'Lambda' is 'auto', then fitrkernel might take an extra pass through the data to calculate the number of observations in X.
fitrkernel uses a block-wise strategy. For details, see Algorithms. To perform parallel hyperparameter optimization, use the 'HyperparameterOptions', struct('UseParallel',true) name-value pair argument in the call to this function. For more information on parallel hyperparameter optimization, see Parallel Bayesian Optimization.